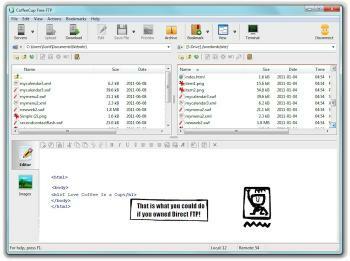 CoffeeCup Free FTP is a fast no-frills FTP program that makes it easy to drag and drop files to and from your Website. It supports multiple server profiles resumes broken uploads and downloads and can transfer files in binary ASCII or auto-mode. 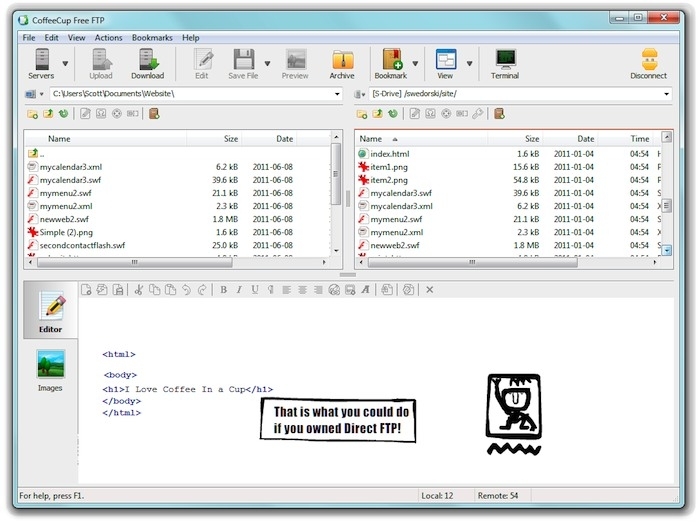 Free FTP works with any server and is so easy to set up. Just enter your username and password and click Connect. Free FTP remembers your server information so reconnecting to your site is a snap. Ability to backup and restore server database.Support for S-Drive with Free FTP.Issue when deleting files and changing the column sort order causing wrong files to be deleted.Issue with deleting files with unicode characters in the file name.